We’re starting to hear more and more terms like “growth hacking” in the ecommerce industry, and I for one don’t really care for it. As any seasoned veteran of ecommerce will tell you, you need sustainable, long term marketing plans in place – not short term “growth hacks”. There’s the old analogy of the tortoise and the hare – that “slow and steady wins the race”, and the same is true in business, particularly ecommerce. This article is aimed at any small business owner in the ecommerce sector – whether you’re just starting out, or you’re looking for more effective ways to market your ecommerce site. You can waste thousands of dollars every month paying an agency to look after your marketing for you, but there really is no need. The marketing techniques I’ll discuss in this article can all be done yourself. Most big brands and companies out there appear to have a great deal of “love” for social media. In private, however, a lot of these companies will complain there’s very little ROI from social media. I tend to disagree – there’s no foolproof way of calculating overall ROI from social media. To that end, it’s impossible to say how good or bad the ROI actually is. If was that bad and social media marketing campaigns were akin to throwing money down the drain, I doubt you’d see quite as many companies (big and small) taking it so seriously. You don’t have to spend hours on end each day in order to promote your business via social media; some of the best campaigns are executed in a little under an hour each day. You must first select the platforms you’ll use – the best platforms for ecommerce businesses tend to be Facebook, Google+, Pinterest and Twitter. It’s then just a case of finding interesting, industry-related news and trends to share and building a following. Of course you should definitely share links to your website and feature specific products, but just remember to keep these few and far between. On my own social media campaigns I work to a ratio of 80/20 – that’s 80% topical industry news, and 20% plugging my site or products. If you just plug your site or products in every status update or tweet, you’ll find it very hard to engage fans and stoke interaction, which is the ultimate goal on social media. A great social media case study for ecommerce websites is Morphsuits.com – this article looks at the success behind their model (which relies heavily on social media), whilst this article looks at how their success has been impacted recently by Google and Facebook algorithm updates. PPC is a very general term – it stands for pay per click. 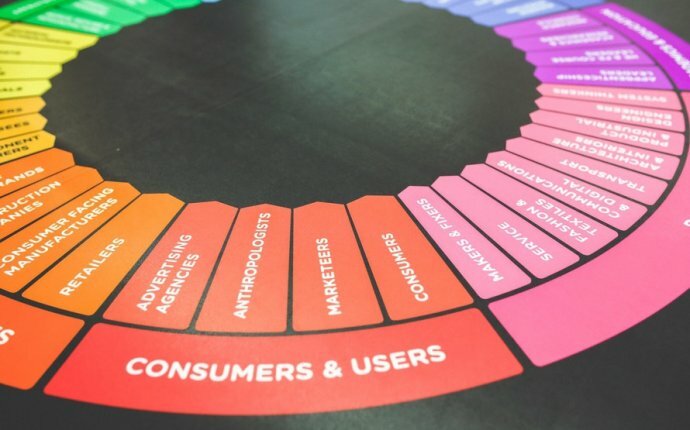 There are lots of different components involved in PPC, from search network advertising to retargeting, through to Google Product Listing Ads (PLAs). PPC has come a long way over the last few years, and it’s a really good way to advertise an ecommerce website in a sustainable, profitable manner. You’ll hear plenty of naysayers exclaiming that “PPC isn’t profitable” – but it can be for most people. You can’t simply throw a campaign online and hope for it to make lots of money from day one, if you could do that then everyone would be at it. With PPC you have to make a commitment to testing and bettering your campaigns on an on-going basis. Only when you make this commitment will you really start to reap the rewards that PPC has to offer. At the present time, the best PPC options out there are Google PLAs and retargeting (read here if you’re determined to succeed with PLAs – this blog looks into remarketing in some depth, if you’re not familiar with it). Although traditional text ads definitely still work well both on the search and display networks, PLAs and retargeting are yielding by far the best (and most profitable) results for my ecommerce websites at the present time. PLAs are specifically for ecommerce websites – they present searchers with a picture of the item they’re looking for in the SERPS. The CPC tends to be lower than search text ads, whilst the conversion rate is higher. There are various reasons for this, including the fact that buyers are “qualified” before clicking on PLAs – they can see a picture of the item, they can see the name of the merchant and they can also see the price. If they know all of that information and they proceed to click through, there’s a high chance they’ll convert. Retargeting is becoming increasingly popular – but it’s nothing new. If you’ve ever wondered why you’re bombarded with display network ads for websites you’ve previously visited, retargeting is the answer! If ad networks see a cookie from a specific website, they can target ads from that website to you – retargeted traffic tends to be fairly cheap but the conversion rates are exponentially higher than other, standard traffic garnered from the display network. Traditionally it was difficult to set up retargeting campaigns, but now there are neat tools like AdRoll that make it really easy to get started. Good old search text ads and image display ads still work, but if you want a sustainable, profitable ecommerce website you can’t simply work with these two “easy options”. You’ve really got to push the boat out and work with PLAs and retargeting too. You’ve also got to go beyond just Google AdWords – look at other PPC networks to market on (Bing Ads, Facebook Ads and Twitter are just a few you should consider). I’ve heard people reciting ridiculous claims including “PR is the new SEO”. PR basically involves generating a buzz around your brand or website, this is typically done via getting your website in newspapers, on the TV, on popular niche blogs and so on. In some niches PR is a great way of building a reputation – it’s a great way to market to your target audience. - How to implement SEO in Website? - How to do SEO for your Website? - How to Create SEO for Website? - How to Promote your Website Online? - How to Promote new Website?